Most people here are likely aware of an app called Tinder. It’s pretty popular among the younger, single crowd. The app acts as a game of Hot or Not, and if two people mark each as Hot, they are allowed to communicate back and forth, potentially leading up to a date. Given how progressive we as a society are in 2015, it was only a matter of time until this app broke the species barrier, and now, Tindog is available for all dog owners on Google Play. The functionality of Tindog is exactly the same as Tinder. You sign yourself (the dog owner) up via a Facebook account or email address, then create your dog’s profile. You can upload pictures, a cute little bio, and then get to searching. If you find a dog you think would be a fun match for your furry companion, swipe right. If they won’t be a good match, swipe left. 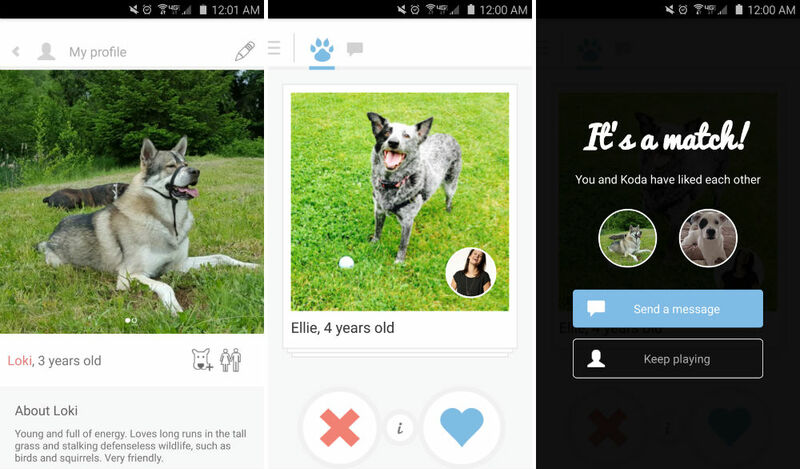 If both owners swipe right, you can communicate and set up a playdate. Owners are also recommended to create little bios for themselves, hopefully limiting the creep factor. A nice touch is the ability to mark yourself as a “couple,” meaning whoever you talk to won’t think you yourself are trying to hook up, too. The app’s usability relies heavily on there being users near you, since having a doggy playdate wouldn’t be much fun if owners lived 100 miles apart. When I first started searching, I only had a few users around me, but as of last night, there was a solid collection of people in my area that had signed their pets up. If you want to socialize your pets just the way you socialize yourself, by using an app, then check out Tindog. It’s actually kinda fun.